There are lessons in good salesmanship all aroundif you know where to look. Here are 5 from the world of music. 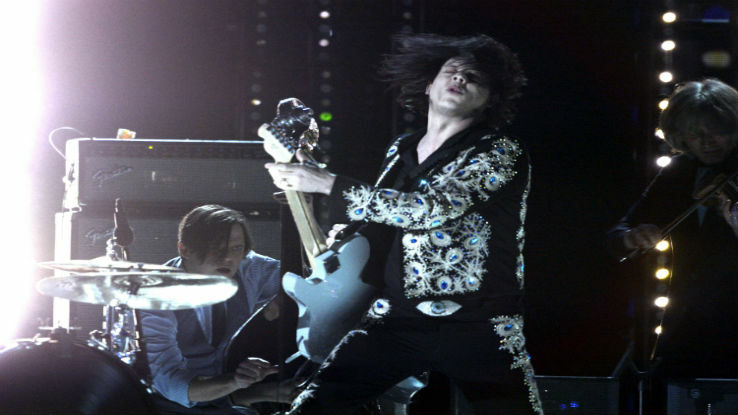 Recently, I saw musician Jack White perform at the Air Canada Centre in Toronto. It was an outstanding performance. As I watched, I couldn’t help but think of some of the sales lessons he provided during his show. In the last couple of months, White has done 30 shows across North America and Europe. But you would never know it by the energy he put into his performance. He danced, strutted, jumped and played guitar as if it were the first night of the tour. Sales lesson #1: Are you putting 100 percent into each and every sales call, meeting and presentation? Many performers spend time between songs talking. White did very little of this. After all, we weren’t there to hear him talk but to play. Sales lesson #2: It’s common for salespeople to talk too much. Limit your talking and spend more time asking questions. He had a simple stage show. Unlike many concert musicians, White did not have an elaborate stage setup. There were no pyrotechnics, no big screens and no lasers. At first, I was surprised by this, but as the show progressed, I realized I was focused on the music instead of all the other stuff that often happens during a concert. Sales lesson #3: Less is more. Sales presentations don’t have to be elaborate or complex to be effective. He got us to pay attention. I generally take dozens of pictures during a concert, but during his show I took only a handful. Before White came on stage, an announcer informed us that photos from the show would be posted on White’s website the following day where they could be downloaded at no charge. As a result, I didn’t feel compelled to take a lot of photos, which allowed me to focus on the show. Sales lesson #4: What can you do to gain your prospect’s full attention? He was focused. During one of the encore songs, a young guy gained access to the stage and began dancing. White didn’t even blink as security escorted the guy off the stage. Instead, he remained completely focused on the performance. Sales lesson #5: How can you improve your focus during sales calls, meetings and appointments to achieve better results?